Every two years, honors are given for outstanding work in English, Chinese, Malay, and Tamil. A record number of submissions—235 across the twelve categories—marks the 2016 awards. 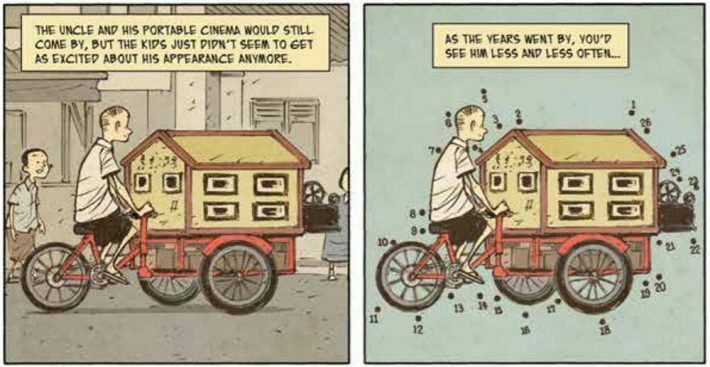 An excerpt from a page of the Singapore Literature Prize-winning ‘The Art of Charlie Chan Hock Chye’ by Sonny Liew. Image used by permission of Epigram Books, all rights reserved. The National Book Development Council of Singapore, referred to as the Book Council, has presented 22 awards—including merit and commendation honors—across 12 categories at this year’s Singapore Literature Prize (SLP) ceremony. The biennial SLP awards are made in all four of Singapore’s official languages: English, Chinese, Malay, and Tamil. 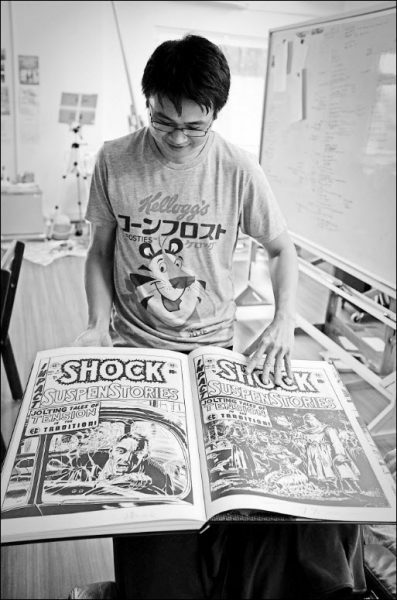 Artist and illustrator Sonny Liew. Image used by permission of Epigram Books, all rights reserved. 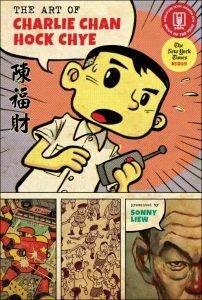 A part of the success of The Art of Charlie Chan Hock Chye is credited by observers in Singapore to the fact that an $8,000 National Arts Council grant for its publication was at one point withdrawn amid criticism that Chan’s politically charged original work presented an unfavored depiction of Singapore’s political development. The English Poetry prize has been shared this year by Cyril Wong for The Lover’s Inventory and Desmond Kon Zhicheng-Mingde for I Didn’t Know Mani Was a Concepualist. Yeng Pway Ngon is the recipient of the Merit Award for Chinese Fiction, giving him his fourth award: he won the SLP in the Chinese category in 2004, 2008, and 2012. The Singapore Literature Prize also shines a spotlight on new literary talents on the rise: Sithuraj Ponraj wins the Tamil Fiction Prize for his first collection of short stories Maariligal while also receiving the merit award for his first poetry collection, Kaatraai Kadanthaai. Another debut writer and award recipient is Danielle Lim, co-winner of the English Non-Fiction Prize for The Sound of SCH: A Mental Breakdown, A Life Journey. She shares that prize with Peh Shing Huei, author of When the Party Ends. This year, the National Book Development Council of Singapore welcomed MPH Bookstores as the Official SLP 2016 Bookstore. With this new partnership, all of the shortlisted SLP titles in all four of Singapore’s official languages are available under one roof. In addition, The Book Council has been working closely with MPH Bookstores, publishers, the National Library Board (NLB), the National Heritage Board (NHB) and other organizations to actively promote the shortlisted authors and their works to the public through public events as well as mainstream media including radio, TV, newspapers, and magazines. The promotional campaign, which will continue well into 2017, is to include “meet the author” events at MPH stores as well as a variety of other venues, writing workshops for both the general public and local schools, along with SLP author appearances at literary festivals outside of Singapore.